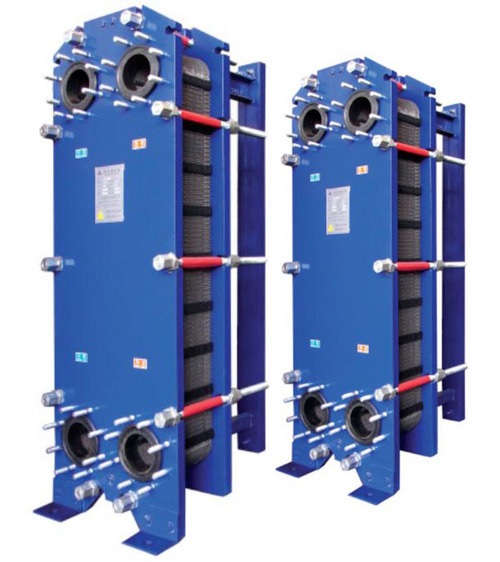 Industrial Applications : We have large range of plate type heat exchangers for use of industrial application. Flow rates : 0.1 to 3500 m3/hr. Plate material : AISI 304 or 316 stainless steel, titanium, Avesta SMO, Hastelloy. Gasket material : Nitrile, EPDM and Viton/Teflon. Pressure rating : Upto 25 bar. Temperature rating : Upto 120 C.
Plate area 0.04 m2 to 3.1 m2.